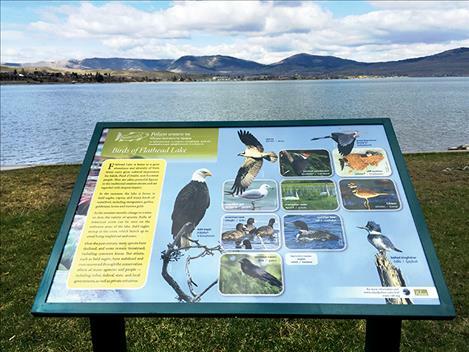 More than a dozen interpretive signs are posted along the walking path between Salish, Sacajawea and Riverside Parks in Polson. Fishing culture and history is explained in a sign near the West Pier. 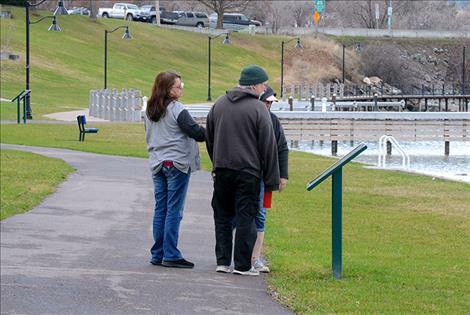 Folks stop to read one of the informative signs at Sacajawea Park Thursday afternoon. 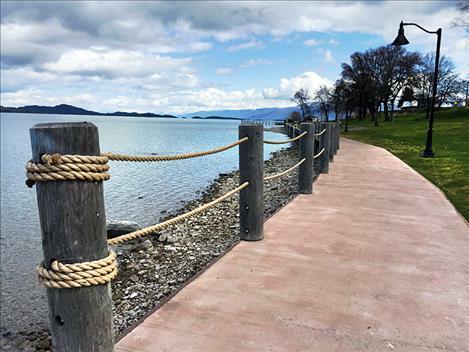 POLSON — Exploring local history is merely a walk in the park along the new Polson Interpretive Trail. 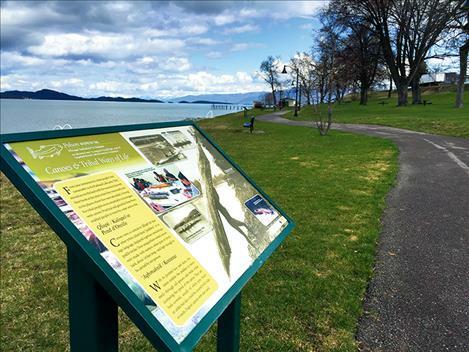 More than a dozen weather-resistant signs posted along the paved path bordering Flathead Lake in the Salish, Sacajawea and Riverside Parks depict tribal and city history through words and historic photos. 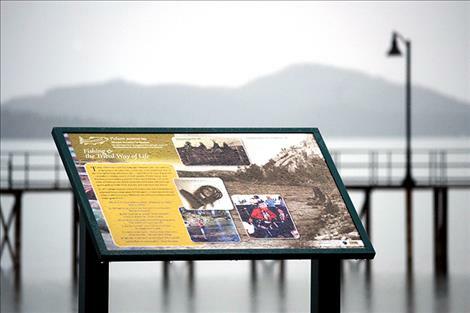 The educational information explores tribal ways of life with canoeing and fishing, the building of the bridge Flathead River, birds of Flathead Lake, steamboat history and names of visual landmarks — in Kootenai, Salish and English — on a panoramic lake view at the top of Salish Point Park. 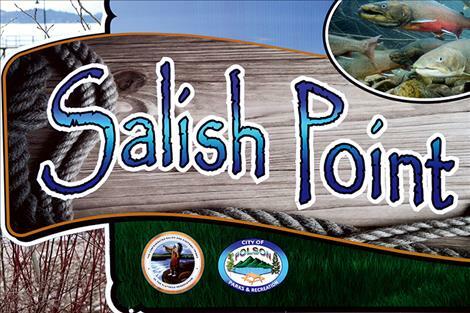 The collaborative effort between the City of Polson and Confederated Salish and Kootenai Tribes has been in the making since 2014. 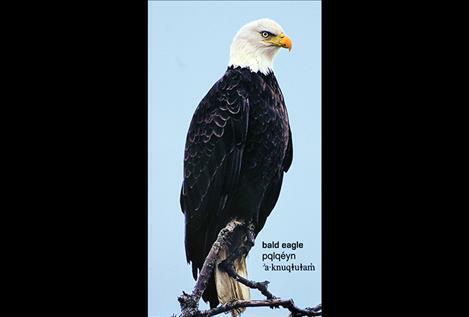 Decisions on content and photos resulted in numerous drafts, designs, and revisions. 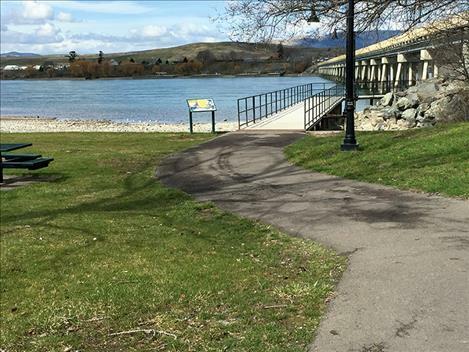 Initially, the project was slated to be completed in one year, according to Polson City Manager Mark Shrives. Funding came from a variety of sources, fundraisers and grants. 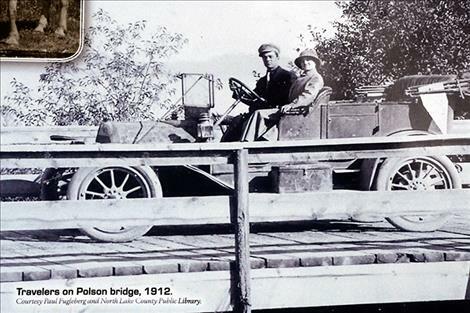 The Polson Redevelopment Agency chipped in funding, the tribes contributed $5,800, the Greater Polson Community Foundation pitched in $15,000, the Lower Flathead Community Foundation contributed $5,000, and committees held fund-raising events, according to Shrives and McDonald. The installation was done by the city. 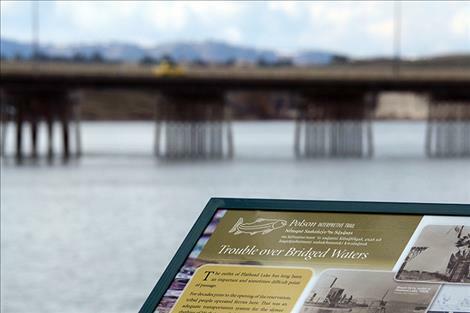 A few more signs are still under construction, and are expected to be up on the West Pier and under the bridge, prior to the ceremony honoring the project’s completion, which is in the works for Memorial Day weekend. 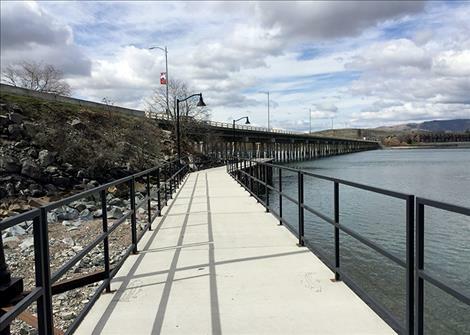 Visitors and locals alike can now enjoy the stroll and learn a bit, too. 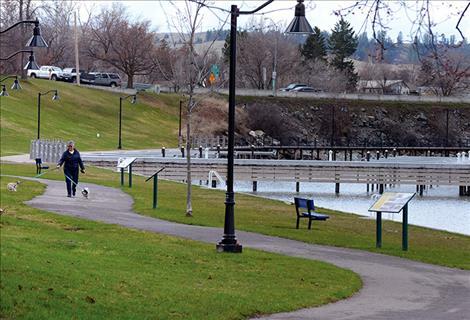 “It’s a value-added thing: it’s something to do in town, and an educational tool for all the people that enjoy the waterfront,” McDonald said.